When it comes to your portfolio appraisal assignments, ensuring you select the right appraiser is of tantamount importance. Accuracy and validity ensure you get what you need out of the process, and help you to avoid any missteps that could lead to a disaster. Think we’re exaggerating? Think again! Appraisals are used for all sorts of things. Securing a loan amount. Purchasing sufficient insurance coverage. Setting an initial sales price. If the appraisal number is too low, you may not have enough insurance coverage to rebuild after a disaster. But if the estimate is too high, a mortgage company or buyer may not be willing to pay the appraised amount. See what I mean? Precision counts in every way when looking for an appraiser for your portfolio appraisal assignments. So, how can you be sure you’ve got the right appraiser for your portfolio appraisal assignments? Who will be the most exact and understand precisely what you need? Well, we’ve compiled a list of questions you should ask your appraiser before hiring them to assess your full real estate portfolio appraisal assignments. Reviewing these eight questions will help guarantee you get the right person for the job. 1. What is your service area? In some instances, it’s beneficial to have an appraiser who is familiar with the area where your properties reside. This is especially true if your properties benefit from proximity to a certain feature, or specific businesses. 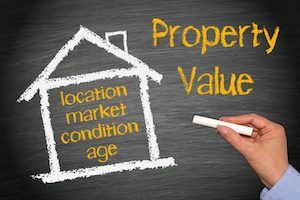 Someone unfamiliar with the area may not factor that into the appraisal price because they were simply unaware it was there. 2. What is your specialty? Some appraisers service more than one type of property, and that’s fine. However, it may be helpful to select someone whose main focus meets up with your property types. It’s less headache, and gives you more peace of mind that they’ll do the job right. 3. How long have you been an appraiser? Property appraisal requires numerous years of practice to do well. Only time and experience can give you what you need to do the job properly. Generally, look for someone with more than a handful of years behind them. 4. What certificates and training do you hold? In conjunction with years of experience, you’ll want someone who has the proper education and training requirements demanded by your state. Also, as laws change, and appraisal theory evolves, your appraiser should be continuing their education and obtaining the latest in certifications. Many times, this is done through various organizations who focus on specific areas of appraisal: Appraisal Institute, American Society of Farm Managers and Rural Appraisers, Independent Fee Appraisers, and so on. The bottom line is you want someone who stays on top of the latest and greatest in the area you need. 5. Do you have references? Even if the appraiser in question doesn’t have a list of references to hand you, it’s still possible to do due diligence on their performance. Online reviews, Better Business Bureau reports, your Realtor…all of these are good resources for vetting a potential appraiser prior to hire. In fact, even if given a list of references directly, these are all still good spots to check. 6. Will you be doing the appraisal? Sometimes, you’ll speak with someone at an appraisal firm, but they aren’t the person that end up performing the actual appraisal. Weird, right? But it does happen. Your best is to confirm who will actually be assigned to you during the interview. Then, as you work though the list of interview questions, you’ll just want to check that their responses are accurate for the person actually performing the appraisal. 7. How much experience do you have with this type of appraisal? Years in the industry don’t always equate with years of experience in a specific appraisal specialty. Also, if the person you interviewed isn’t the one doing the appraisal, you’ll want to make sure that the person who is actually responsible for it isn’t super green. 8. What is the fee structure? You’d be surprised at how many people forget to ask this question. You’ll want to know things like if you’ll be charged for their travel time, or if you can negotiate a discount for appraisal of multiple properties simultaneously. Plus, it’s always helpful to be able to compare the fees from a couple of different vendors. Now, I’m not saying cheaper is better; you get what you pay for. But nobody likes a surprise when it comes time to pay the final bill. Ready to Get Started with Your Portfolio Appraisal Assignments? The team here at Global Valuation Services is ready to field your call. Our team has performed numerous portfolio appraisals, and would love to help you with your portfolio appraisal assignments. Give us a call at 772-215-5738, and let us get started on your portfolio appraisal assignment today!